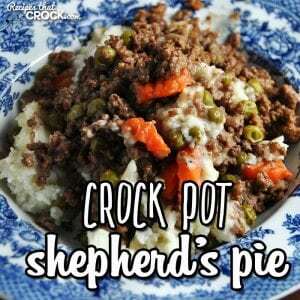 Crock Pot Shepherd's Pie - Recipes That Crock! 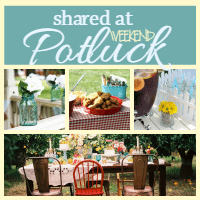 If you love a delicious, hearty, one-pot meal, then I have the recipe for you! 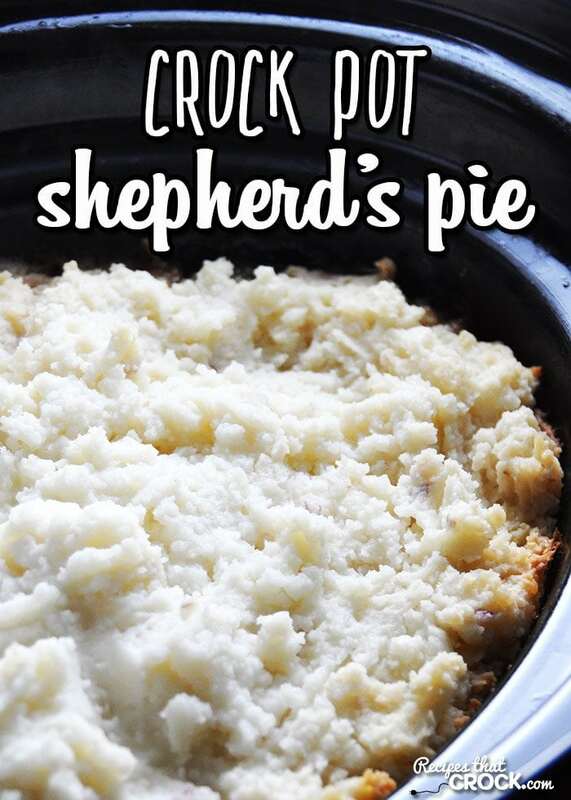 This Crock Pot Shepherd’s Pie is delicious and comfort food at its best! You know the old saying, “Third times a charm!”? Well, that was the case with this recipe! 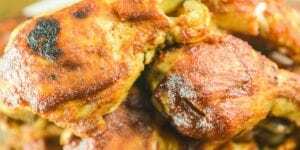 You see, I adapted this recipe from an oven recipe in Gooseberry Patch’s 101 Homestyle Favorites. What we don’t always share is the fun behind recipe development, but it can be quite a process. You see, the first time, I made this, I didn’t reduce the amount of liquid in the recipe quite enough, so we had more of a Crock Pot Shepherd’s Pie Soup. 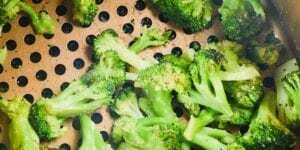 (We literally put it through a strainer before we ate it!) Not really what I had in mind. The second time I made this, I was on vacation…and I grabbed the wrong cookbook. Ugh. So I did it from memory as best as I could. It turned out pretty good, but took a while to make, so I wanted to try it one more time to see if I could find a shortcut. And whaddya know, it worked! 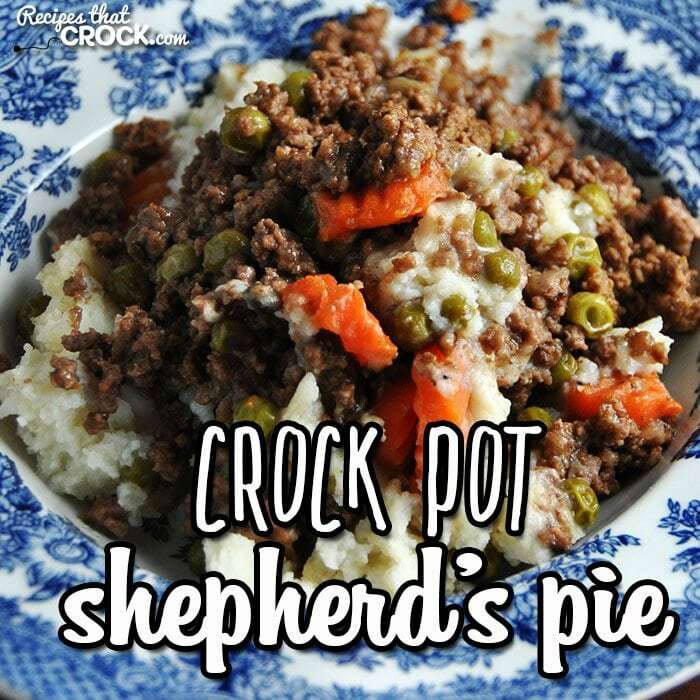 So now you have Crock Pot Shepherd’s Pie just for you! I have made this with homemade mashed potatoes and with instant potatoes. We liked it both ways because we have found some instant potatoes that we absolutely love. However, if you hate instant mashed potatoes, go ahead and make your own! It was yummy both ways! 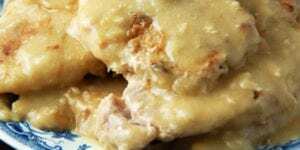 I made this recipe twice in my Hamilton Beach Intellitime Slow Cooker and once in my Hamilton Beach Multi-Quart Slow Cooker. Both did a great job. 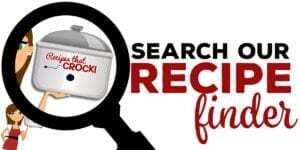 You can use your favorite 6-quart crock pot. You can adjust this recipe to meet your family’s needs. Don’t like peas, leave ’em out! Love carrots, add some more in! Do note though that as the recipe is, it almost fills a 6-quart crock pot, so adjust the size of your crock pot accordingly if you are adding a ton more veggies. This Shepherd's Pie is a great one-pot meal! You can adjust this recipe to meet your family's needs. Don't like peas, leave 'em out! Love carrots, add some more in! Do note though that as the recipe is, it almost fills a 6-quart crock pot, so adjust the size of your crock pot accordingly if you are adding a ton more veggies. Of water as suggested on package or just dump the powder in with all these ingredients? Hi Sharon, this was delicious even my 6 year old liked it! I halved it and it came out perfect! Thanks! Sorry I don’t know why i addressed you as Sharon. Woops! I’m so glad that it was a hit at your house! Thanks for letting me know! Hearing that someone enjoyed a recipe as much as we did always makes my day! My husband was just told to go on low salt. Any ideas with this wonderful looking recipe? I don’t have any experience cooking for someone with a low sodium diet. I would check with your doctor or a dietician for the best advice. I would hate to give you advice that is incorrect. You might ask your doctor about the low sodium options available for ingredients like soups, mixes, etc. Let us know how it goes! This sounds wonderful. Except for the cream of mushroom soup. 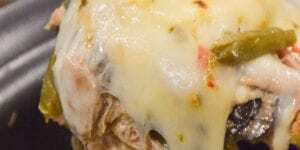 Can you use cream of celery soup instead? I have not tried it with cream of celery, but if that is the taste you prefer, it would probably work well. Let me know how it goes! Enjoy! Yum! I substituted Campbell’s Golden Mushroom soup for the Cream of Mushroom soup, and added a dash of Worcestershire sauce. Keep up the good work…I always look forward to finding your recipes in my inbox! Do you have to use Mushroom soup?? If you don’t like cream of mushroom soup, you could try our cream soup substitute. I’ll put the link below. Enjoy! Do you think this would work in a crock pot casserole? If do you think I would need to use more potatoes? I haven’t tried it in my casserole crock yet, but I think it would work well. Yes, you would definitely need more potatoes. Enjoy! You are gonna love it! I brought it to a friend of mine with a newborn, and her family raved about it as well! Enjoy! Do you think this would work if cut in half? I haven’t tried it, but think it would work. 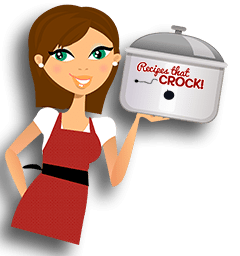 You will need to adjust the size of crock pot you use and watch it closely the first time you make it to see how long it needs to cook. Enjoy! Would this work with regular raw carrots? I’m not a fan of frozen carrots. I haven’t tried it, but I would think it would work. 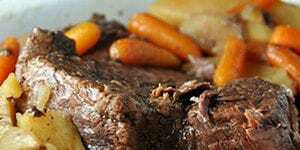 I would suggest slicing the carrots very thin so they will cook easier. Make sure you watch it closely the first time and adjust your cooking time as needed. Enjoy!